Lester Clinton “LC” Clark, Jr. 89, passed away Wednesday, June 13, 2018. Mr. Clark was born in Macon, GA and lived there until moving to Green Cove Springs 15 years ago. He served during WW II in the US Navy aboard the USS Missouri. After the Navy, Lester work for Norfolk Southern Railroad as an engineer for 33 years. During his career with the railroad, he was chairman of the Local Union Fireman and Engineer. 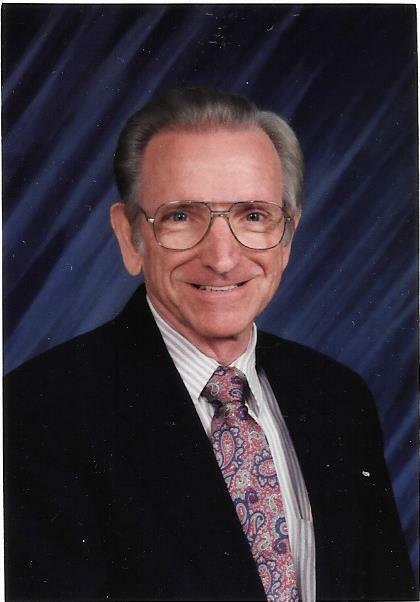 In 2003, Lester retired for the second time as the administrator for Middle Georgia Christian School in Macon. Mr. Clark enjoyed working in his woodshop building furniture as well as building homes for each of his daughters. He was a past member of Thomaston Road Church of Christ in Macon, GA and a current member of Lakeside Church of Christ of Orange Park, FL. Mr. Clark is survived by his wife of 69 years, Peggy Rawlings Clark, daughter, Vicki Clark Hickman and Sharon (Toby) Wakefield, sister, Jane Clark Baker, three grandchildren, Melissa Wakefield Estes, Brian Clark Wakefield, and Leslie Wakefield Larson, eight great grandchildren, two nephews and four nieces. Funeral Services will be held 11:00 AM Monday, June18, 2018 in the Chapel of Russell Haven of Rest with Ministers Rob Robinson, Caleb Colley and Brian Wakefield officiating. So sorry L.C. passed away but so grateful for the great Christian example he was. He was so dedicated to MGCS, and we missed him so much when he moved to Florida. He loved his family, and I’m so glad he spent the last ten years or so being dedicated to them. He was an inspiration and will be missed. It’s comforting to know he is with God.